How safe and secure is your door? Not all doors are create equal…When it comes to security and life span, the top choice you can make for your home is a composite door. 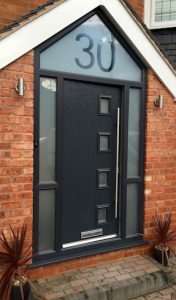 Although still relatively new alternative choice to the traditional front doors such as just wood, composite doors are growing in popularity not just for their increased design flexibility but primarily for the level of security they offer. 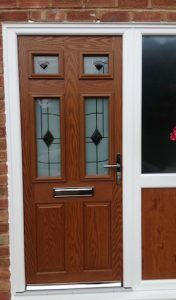 Most people will generally consider either a wooden, uPVC panel or composite door option. Wooden doors look great, however they are generally expensive and require high maintenance to keep their initial looks. This means you need to repaint them to keep them protected from the damage from direct sunlight and rain casuing warping, and peeling. uPVC Doors are the cheapest option available today; they are durable and require minimal maintenance, and can be fitted with a multi-point locking system for added security. Their main issue is their strength compared to wood or composite doors and can be easily broken. 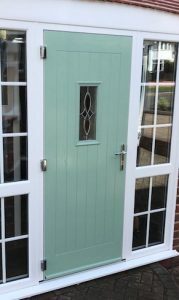 Composite Doors are at Birmingham Glass, our most popular choice for the householder, primarily because of the levels of security they provide. Composite Doors are a mixture of durable high quality materials that are glued and compressed together under high pressure. The result is a strong and resilient door what can withstand all weather conditions alongside being the most secure door we supply. Composite Doors are made to look like a wooden door but due to the production process will not need repainting and will not warp over time. The doors to your home should not just be appealing to the eye, they should make your home an unappealing option for the common criminal. With what seems to be an up rise in car theft and home burglary it is essential that the door locks, barrels and hinges used to keep you and your belongs safe are of the highest quality. Birmingham Glass Services only fit the best! All uPVC double glazed doors installed by Birmingham Glass are equipped with a 5 point lock, comprising of 2 hooks, 3 deadbolts and compression tightening roller cams. Our lock cylinders and barrels are 1* as standard and can be upgraded to a 3* should you require added peace of mind, and finally our hinges are the haven steel painted range for maximum protection. A quality double glazed door or rear entrance UPVC French doors are nothing without a premium installation. All Birmingham Glass Services’ fitters are directly employed by the company and are all NVQ trained with numerous years in the glazing industry. 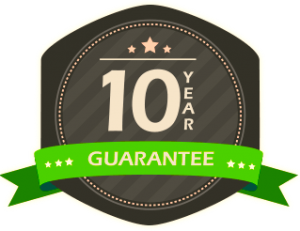 This wealth of experience guarantees the finished job not only looks fantastic but ensures your home is kept safe and sound for years to come.